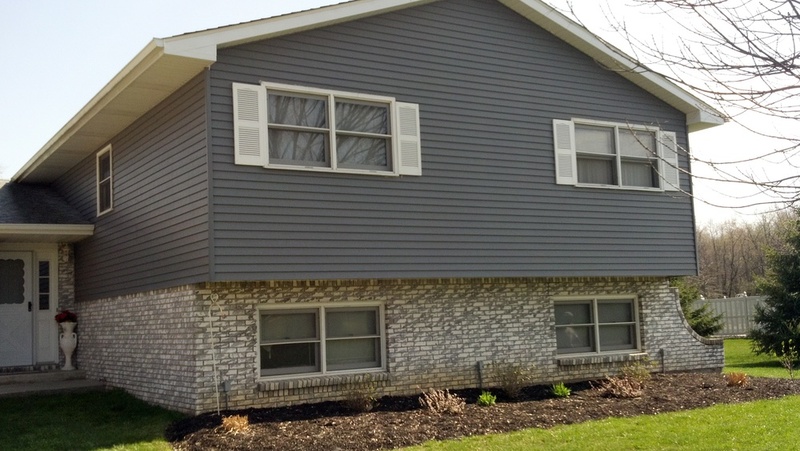 Alco Exteriors specializes in residential siding replacement. We have the experience to fully understand which siding products will perform in a superior manner on each area of your home, which means our siding jobs look great, last longer, and save you lots of time and money. Regardless of the material used for your siding, the installation of your siding is critical. Without proper installation, the manufacturer of your siding will void the warranty. That's why it's so important that you choose the right company to install your siding. Ask for references, and check the company's license and insurance information. At Alco Exteriors, our siding and trim installations are completed by our own trained employees, not sub-contractors. Any questions you may have during your siding and trim installation will be answered completely by skilled professionals. Your home's siding and trim form a protective envelope against the elements, but their value extends far beyond the goal of keeping you dry. When selected carefully and installed properly, your home's siding and trim add value to your property and makes you feel proud of your home. Alco Exteriors has been aiding people right here in Northwest Indiana since 1995. Licensed, bonded, and insured, we offer siding, roofing and window systems by all major manufacturers for residential and commercial buildings. At Alco Exteriors, we have specialized and experienced workers to completely identify the problems of your house and solve it accordingly in an appropriate manner in every area of your house. Generally, we specialize in the replacement of residential siding. We can help you choose the best siding product that goes best with your house and your surroundings. We have trained employees and installers who will make sure that your siding is installed correctly. The aim of Alco exteriors is to gain customer satisfaction. Our primary priority is to have a client who from start till the end of the work feels satisfied by our work. Deciding specifically what you would like. In some cases, it may be just a minor repair. No hard-hitting sales techniques or gimmicks. Keeping the lines of communication open throughout the whole project; even when your project is complete. Once the work is completed, we’ll leave it cleaned like it was before we started. We assure you that as we are a siding specialist, we keep all these above points in our mind before starting any project. Here at Alco Exteriors, “To provide the best-matched siding, work and finishing to our customer is our prime concern” and that is the sole reason why we are considered to be a different siding company than others in the market. We can help you choose a type of siding that's right for you. You can trust Alco Exteriors for professionally-installed, top-quality siding and trim. Contact Alco Exteriors today for your roofing, replacement windows, or siding estimate. Alco Exteriors is proud to install siding for customers in the Northwest Indiana counties of Porter County, Lake County and LaPorte County, including Crown Point, Hobart, Cedar Lake, Dyer, Highland, Merrillville, Schererville, Portage, Valparaiso, Chesterton, LaPorte and Michigan City.